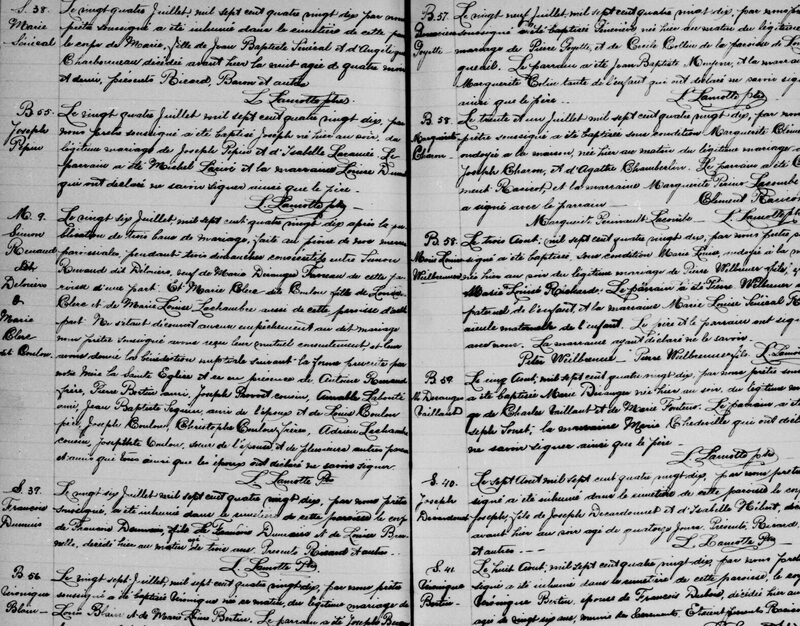 Genealogy is a subject that attracts a great deal of interest in Québec, especially because of the particular status of the culture and history of its population. This topic has therefore been the subject of many works, adopting several angles, including the founding families, the origins of family names, the creation of the cities and villages of the province, and the role of the church in the development of the province. So there’s something for all tastes and all needs regarding genealogical research. Here are 3 books on family genealogy in Québec to add to your reading list. This work brings together thirty chronicles published by the journalist Louis-Guy Lemieux in Le Soleil between 2003 and 2005. Lemieux is passionate about history and genealogy, which is reflected in the text. While preparing and publishing the book, the chronicles were expanded with some additional information to present very comprehensive content. The text addresses the most common surnames in the regions of Québec, Chaudière-Appalaches, Côte-Nord, Bas-Saint-Laurent, Charlevoix, and Saguenay-Lac-Saint-Jean. Several aspects are studied, including the evolution of the names and the history of the families and their descendants. The book is also particularly interesting because it features photos of the families and places cited in the text, making the reading even more informative and enjoyable. This is a book that’s intended as a guide to accompany people in their genealogical searches for their ancestors, more specifically in Québec, North America, and Europe. The book presents working methods, tools, and sources to consult to make the search successful. It also presents a great deal of information regarding relations between Québec and France, which are important factors in the evolution of the local population, the ancestors, and their descendants. The study of surnames very often turns out to be a key element in genealogical research. It also says a lot about the history of a family and/or a specific place. In Québec, family names are quite varied, as are their respective etymologies. Some are evolved forms of the names of ancestors, while others come from the names of the cities and villages of origin (most often located in France). Roland Jacob’s book, published in 2015, is therefore a very interesting tool for better understanding the origin of names and the different possible interpretations that make it possible to trace their evolution. At over 430 pages, this work fascinatingly discusses the roots and alterations of over 10,000 names. Although they don’t want to admit it, many people hope to see a famous name appear in their family tree. Who wouldn’t like to boast about having Liza Minnelli, Madonna, or Camilla Parker Bowles as a cousin? This book describes the Québécois roots that have wound up in the upper echelons of society while addressing the origins and vocations of several Québec families in the first centuries following colonization. This is an extremely detailed book that identifies the 16,400 families who lived in Québec between the early days of colonization and 1730. The book totals over 1200 pages and is presented in the form of a dictionary. To find or consult these books, we recommend seeing if they’re available to check out from libraries or genealogical societies. In Montréal, many books about genealogy are available to borrow or consult on site at the Grande Bibliothèque. Of course, it’s also possible to order them at a bookstore or to buy them online. Finally, thousands of works related to genealogy are available at the Drouin Genealogical Institute’s online shop at this address.